Most people feel that they have a normal breath even when the rate of their breaths exceeds the medical norm by a 2-3% count. Some of them may even feel that they barely breathe. However, normal breathing is so small that healthy people nearly fail to notice the sensation of their breaths in comparison with their breaths at rest. Over 90% of the people in today’s world suffer from problems connected with breathing. The most common among these problems are mouth breathing, chest breathing and hyperventilation. All of these conditions reduce oxygen levels in your body cells and lead to chronic ailments. Apart from these conditions, advanced stages of asthma lead to destruction of lungs, mismatch in ventilation-perfusion and arterial hypercapnia, all of which work in reducing oxygen levels in your body. The situation of involuntary breathing in common people may be slightly better, but their condition is much worse in comparison with the people who lived during the early phase of the 20th century. However, there is a way by which you can end your misery, experience normal health and possibly achieve super fitness by learning the principles of Buteyko Breathing Method. This method has been proved effective by clinical experience of over 600 Russian doctors and over a 100 clinical studies conducted in the western world. The Buteyko Breathing Method is a scientifically researched and clinically confirmed breath retaining exercise that resolves the condition of hyperventilation or over-breathing. Over-breathing is clinically known as hyperventilation. 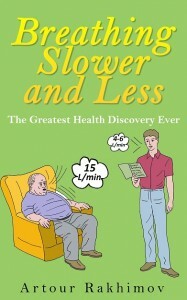 In general terms, it is as simple as breathing more than what your body metabolism needs. 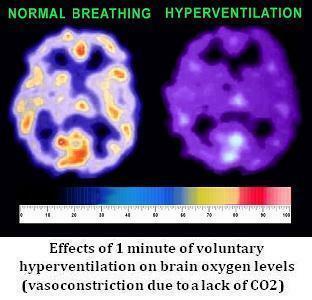 Normal breathing volume for an average adult is between 4-6 liters of air per minute. Professor Buteyko with his experiments has shown that people who suffer from asthma breathe up to 10-20 liters in between attacks and over 20 liters per minute during an attack. Modern day living has led to over-breathing. You might easily say that we are equipped with a Stone-Age respiratory mechanism for Space-Age life. Environmental factors like water, air, sound, light, sound and pollution, poor quality food, emotional and mental stresses, lack of physical activities all trigger over-breathing. Holding your breath, sighing, gasping and snoring are obviously more subtle ways in through which hyperventilation attacks you. It is estimated that a general population tends to over-breathe; they exceed normal breathing by about 70% to 130%. Professor Buteyko through his experiments and observations was able to determine that illnesses people develop due to over-breathing depends on their genetic predisposition. Each individual responded to hyperventilation based on his inherited factors. Through his research and clinical applications, he has proved this result with over 150 individual chronic conditions. The Buteyko Breathing Method received an authentication from the Russian Ministry of Health to be used in treating asthma. However, Russian and Ukrainian doctors have successfully used the same principles on people with radiation disease, hypertension, hepatitis B, metacystic cancer, liver cirrhosis and even HIV-AIDS through their clinical trials. Click the image on the right to find out more about this Amazon book (Kindle and paperback), with content of all chapters.